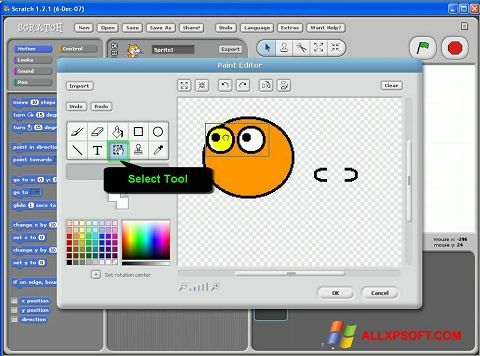 Scratch for Windows XP - a program designed to create animated images for children. In addition to learning animation, the child will be able to learn the basics of programming and mathematics, develop creative and spatial imagination, learn the basic elements of the design of objects. Designing an application includes a tutorial with an increasing degree of complexity, allowing you not only to have fun at the computer, but also to devote time to learning, developing imagination, logic, and intelligence. You can free download Scratch official latest version for Windows XP in English.